The power of social media among today’s consumers is no secret. 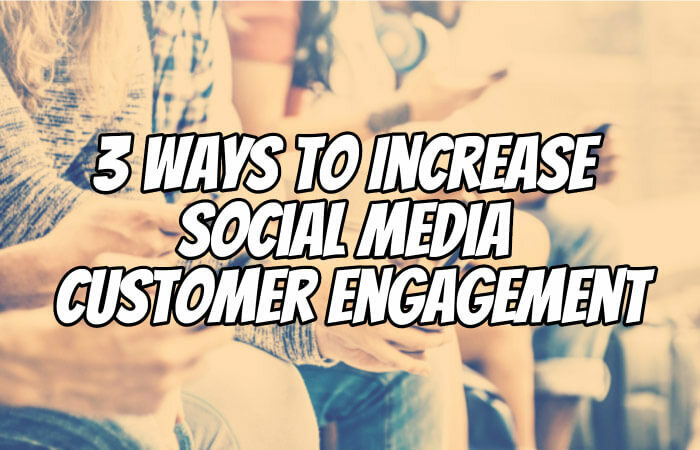 With over 2.8 billion global social media users, which equal roughly 37 percent market penetration, the opportunity for businesses to engage and connect with existing and new customers is vast and constantly growing. So what can you do to really use this tool and build your customer engagement? Let’s take a look at some quick tips. When posting on social media, it’s important to talk about topics of interest, not just your brand. While it may be interesting to consumers that you’re having a discount, hearing about your deals all the time will get boring after a while. By using social media as a way to build a brand personality, you will find that more consumers will likely want to engage with you, as they are getting a unique offering. But first, you need to know what topics actually grab your target market’s attention. Figure out what interests them, what they’re talking about, what platforms they’re using and what other brands they like. Amway, for example, is a big advocate of using social media; you can tell by their Instagram that they know their consumers are using this platform, and they are aware that they’re not only interested in their products but ideas of healthy living and high-quality products. By having this targeted understanding, you can post the right content, on the right platform and partner with the right companies to reach the maximum number of people. Believe it or not but Social Media Today found in 2017 that customers spend 20-40 percent more with brands that engage and respond to them via social media. What can we deduce from this? That not only is social media a means to communicate with consumers, but it’s vital to providing effective customer service. If people comment on your posts, whether it’s a question or just a statement, or if they message you, be sure to respond as if you were talking to them in-store. And perfectly in line with the fast pace of the online environment, you also have to ensure that you’re responding very quickly. Social Media Today also found that 60 percent of consumers who complain on social media expect a response within an hour. At the end of the day, social media is a form of marketing and you would like the end result to be higher conversions from your customers. Vice versa, consumers often follow brands that they like buying from as an easy way to access their products. Therefore, in order to engage consumers, try and make your social media a seamless part of your online brand experience. For example, if you’re a retail brand posting a photo of someone in your clothes, tag the clothes with a link straight to the purchasing page on your website so people who like the item can easily find out more. Think about what it is your marketing, and make it as easy as possible for customers to further engage with other marketing material and actually make a purchase. By now, you’re probably aware that social media is here to stay. It’s become integrated into everyday life and is a great way for businesses to engage with their customers. Whether you’re new to social media or have been using it for a while, make sure you use these quick tips to get the best results from your social pages.